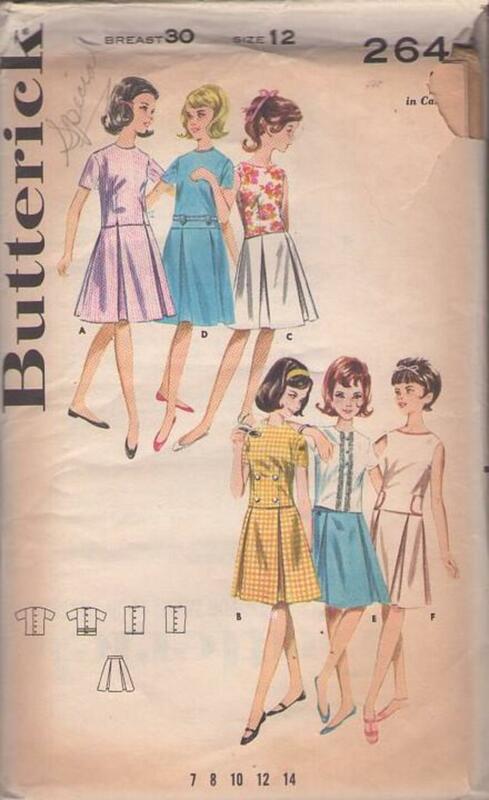 60s Children, Retro Separates Clothing Patterns - Girls’ two piece dress. Back buttoned, below waist length overblouse. Panel pleated skirt. A, B, C, semi fit overblouse. C, F bias tape trim. D; top stitch trim, belt detail. E: Lace trim. Swell school styles!